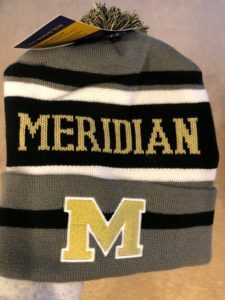 Interested in purchasing a Meridian Trojan Spirit wear stocking hat? These hats are one size and fit child to adult. Please fill out the below form to purchase. Deliver to child's class, child will bring home. Note: Hat orders will be prepped on weekly basis for distribution on Fridays to children's classrooms, or available in the office. Please select Order Now button above to proceed to payment via Paypal. Please do not double click or refresh the screen. Thank you!